It is generally held that Renaissance slipped into decline from the late 70s onwards. And for some reason, this album gets clubbed with those releases that are supposed to be less than edifying. Yet, it is very much in keeping with the style of music of the previous albums, almost a bit too much, if anything. Not that there's no growth or change. 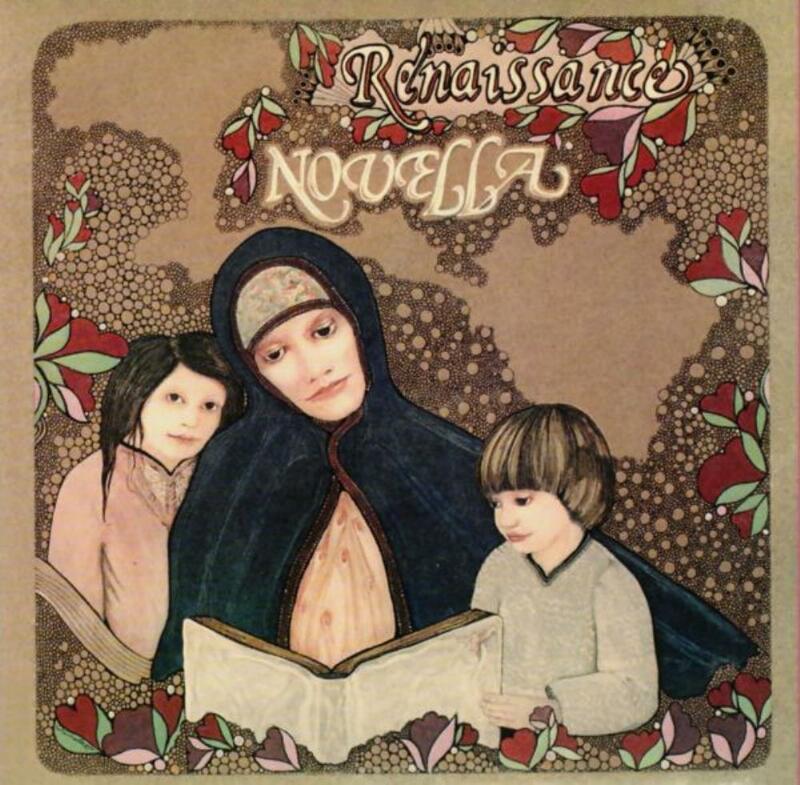 This is the only album of Renaissance Mk-ii that prominently utilizes acoustic guitars. Dunford always had some presence on their material but was usually buried deep in the background as Tout and the orchestra took centrestage. Whereas Sisters even has a solo by Dunford. Midas Man too has pleasing layers of guitar. There is some resemblance here with Roy Wood's approach on Annie Haslam's first solo album Annie in Wonderland released in the same year. That album too beautifully utilized acoustic guitar and harp, evoking a lush romanticism. The effect is not quite so ethereal on Novella but it's nevertheless an interesting development. Can You Hear Me has one of the most annoying 'time-wasting' sections in the band's repertoire, wih practically nothing happening for 2 minutes. It's almost as if they are waiting for a suitable opportunity to reprise the string-vocal motif and get back on verse. That excepted, their orchestration is more assured and effective here and also less cliched. Especially, Touching Once (Is So Hard to Keep) is fabulous, the best of their orchestral pieces (Trip to the Fair and Things I Don't Understand being piano oriented), passing from shades as varied as playful to mysterious to triumphant. That they are able to achieve that quite seamlessly is also on account of the vocals of Annie, who is at her peak here. She turns in an unusually extroverted, bold performance on Touching Once and does all she can to lift Can You Hear Me to some memorability. She overcooks Sisters, one of the very few times that I've felt baffled by her approach to a song, but compensates well with the ballad Captive Heart. It is in fact on Captive Heart that her growth and maturity is most evident. Where she could be a touch flat or not adequately engaged on the pop ballads before, she sings with a lot of presence on this song, careful at the same time not to overpower it. The recording is the best for any of their albums, richer and fuller than Scheherazade but without the overproduced gloss of A Song for All Seasons. Annie's voice in particular sounds significantly richer, an aspect that actually turned me off the album initially. Where this album suffers, though, is it needs some application from the listener. Even fans may not be won over immediately by this but over time, it turns out to be quite substantial, arguably the most substantial release of Renaissance mk-ii. Barring Touching Once, it is all downbeat which also can make it less appealing initially but this is the most satisfactory execution of the quintessential mk-ii style.